A document posted online by the British civil-rights organisation Statewatch provides new information about the Internet Referral Unit set up at Europol in The Hague. It states that the unit has already found, analysed and assessed 7364 pieces of suspected terrorist and extremist material online. In 6399 cases, Europol asked internet companies to remove the content, and was successful in 95% of cases. Much lower figures had been given by the European Commission in a communication five weeks ago. The content was found across at least 45 different platforms, according to the communication. The new information comes from a Europol report submitted to the Council’s Standing Committee on Operational Cooperation on Internal Security (COSI). COSI coordinates and assesses operational actions by EU Member States and agencies. With its regular “recommendations” on eliminating deficiencies, COSI also has a political function and is therefore sometimes described as a nascent EU interior ministry. When the Internet Referral Unit was established, the Member States were asked to second “experts” to it and set up national contact points. This now seems to have taken place. According to the Europol report, 25 EU countries have established contact points. In Germany, it is probably within the Federal Criminal Police Office (Bundeskriminalamt). The Internet Referral Unit was set up in July 2015. At that time there was still no corresponding provision in the Europol Regulation, which is needed to allow Europol to request account holders’ personal data from internet companies and to process this information. While the new Regulation containing the desired provision has now been adopted, it does not enter into force until May 2017. It is unclear whether the interim period is being bridged using bilateral agreements. For example, Germany’s Federal Criminal Police Office could request the relevant data from companies such as Facebook or Youtube and pass it on to Europol. 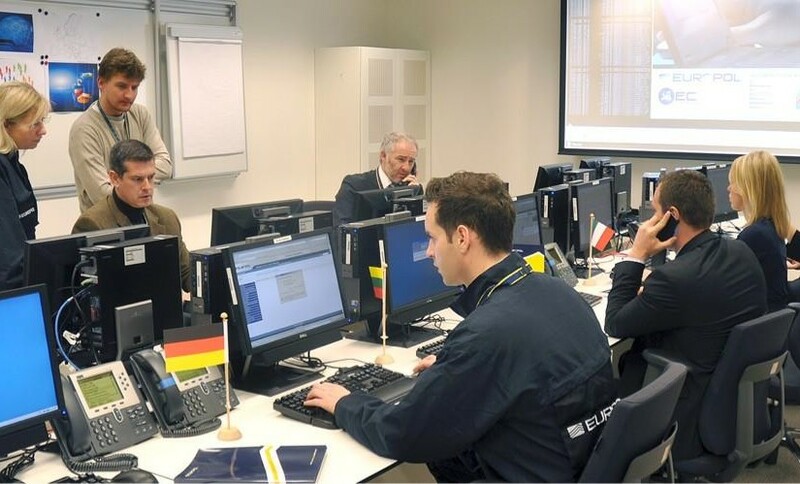 There, the information – including the relevant online content – is added to the Check the Web portal, which the Federal Criminal Police Office installed at Europol in 2007. According to the Europol report, 629 new “terrorist media files” have recently been uploaded to the Check the Web portal. The total number of items it contains is around 11,500, according to Europol. Often, content is found which has been uploaded multiple times. Europol is therefore pressing for the internet companies to use an automated upload filter. According to the new report, the Internet Referral Unit is expanding its activities further. While the unit was initially set up solely to deal with “terrorist content”, its purpose was soon expanded to include “people smuggling”. This year, it has become clear that the Internet Referral Unit is also intended to tackle “hybrid threats” – threats or attacks by other countries which remain below the threshold of military force. Now the Internet Referral Unit is also to take action to counter “radicalization and recruitment by terrorists”. In addition, its expertise is being used to support certain investigations. The report refers to the “Taskforce Fraternité”, which was established by French and Belgian authorities following the November attacks in Paris. According to the report, support has already been provided in at least 24 investigations (“operational cases”), but no examples are given. Finally, the Internet Referral Unit is also to strengthen the “partnership with the internet industry”. In December 2015, the European Commission and several internet companies launched an EU Internet Forum, which is intended to take a “self-regulatory” approach as much as possible. According to the Commission’s communication, the internet industry is developing a Joint Referral Platform “with full Europol involvement”. The platform is intended to prevent material removed from one site being uploaded elsewhere. At the moment, this function is carried out by the Check the Web portal developed by the Federal Criminal Police Office; however, private internet companies are unable to access the portal or add material to it. The companies which have come together in the EU Internet Forum are also to help with the development of “counter-narratives”. The Commission intends in future to support “actions to promote effective alternative counter-narratives” and find solutions to “the problem of online hate speech”. 10 million euros has been earmarked for these two initiatives (the new Joint Referral Platform and “counter-narratives”) under the Internal Security Fund. Image: Analysts at Europol’s EC3 (Europol).